From Scotland’s best known and best loved beer, to a favourite on the world stage. We’ve loved every step of our McNificent journey. Join us in raising a glass to the next 160 years. William McEwan had the beery brainwave to start his very own Fountain Brewery in Fountainbridge, Edinburgh. The locals were soon lapping up every drop. So he decided to spread the love and let the English join the party. Soon they were tucking into the McNificent McEwan’s brew in Newcastle, Sunderland, Gateshead, Durham and Carlisle. The next bombshell in our brewing record books was the arrival of Mild – AKA our current McEwan’s 60/-. And then came thoughts of global exploration and expansion. A McNificent idea if ever there was one. Destinations included India, the Caribbean, Chile and Egypt. By now the Fountain Brewery was one of the largest breweries in the world, producing a truly McNificent 456 million pints a year! 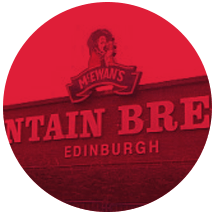 A weighty year in our history indeed, because it welcomed in the creation of our famous heavy beer, McEwan’s 80/-. 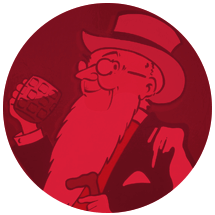 Named 80/- because at the time, eighty shillings was the price for a hogshead of beer. 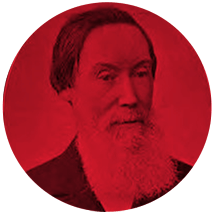 Our McNificent founder, William McEwan, as well as sporting a beard that wouldn’t look out of place in a gathering of latter-day Millennials, was a vociferous member of the Edinburgh Parliament. And, in this year he made the largest single private investment in the history of Edinburgh University, donating the McNificent McEwan Hall. As you might expect, the McNificent team at McEwan’s took even the Great Depression in their stride. Employing the ‘teamwork makes the dream work’ approach, they cannily merged with Edinburgh rival William Younger’s firm to launch Scottish Brewers. You can imagine the thought processes of the marketing team at the time – ‘our beers with notoriously hearty character need a hearty, spirited character to represent them. A McNificent icon, the public will love’ – the world-renowned Cavalier was born. And, as you can see, he’s still well and truly with us today. If you were lucky enough to have a TV, you’d have seen the most popular of McEwan’s ad campaigns – aptly titled ‘McEwan’s Best Buy in Beer’. 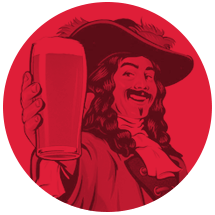 The fast growing and increasingly successful brewery was creating a burgeoning fan base in the UK and overseas. It also created the need for bigger premises to increase capacity and production efficiency. So the Fountain Brewery was rebuilt a stone throw’s away from the original site. A truly McNificent year for Export - now distributed nationally it became the biggest selling canned beer in the UK. Lager. Lager. Lager. 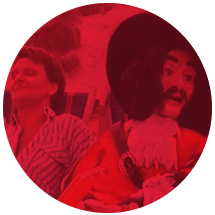 It was everywhere, as its popularity surged throughout the 70s. Never ones to disappoint our enthusiastic customers, we launched McEwan’s lager - an easy-drinking and perfectly refreshing lager with a light and balanced taste. 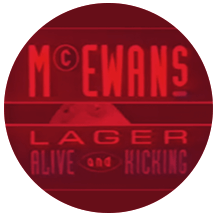 With biz booming, we launched the McEwan’s Lager ‘Alive and Kicking’ campaign, which would run for the next decade. To prove the special relationship with our friends over the pond also extends to beer, we launched McEwan’s Export to great fanfare in the US. Thanks to the marvellous people at Tesco who ran a bottled beer competition, we suddenly had another true winner on our hands. A champion winning beer that we rather aptly called… Champion. As one door closes, another opens. This year we closed the Fountain Brewery and relocated to the even more voluminous Caledonian Brewery, just a hop, step and jump up the same road. We felt it was about time our McNificent journey of 160 years had a well-earned tribute. So we decided to re-brand our iconic McEwan’s Export packaging in our honour. Always ones to mix it up, we decided to create an exceptional blend of rich, fruity ale and fine whisky – AKA McEwan’s Headspace. Things have never been more McNificent for McEwan’s. We continue to be one of the most popular ale brands in Scotland and we have two of the best-selling beers in Scotland. Champion is the best-selling bottled ale in Scotland & Export is the most popular canned ale in Scotland. And both are in the top 10 UK-wide. Everything points to a McNificent future for McEwans.